The new avionics systems programme will run over four years and includes development, integration and production work to be performed in Porto Alegre. 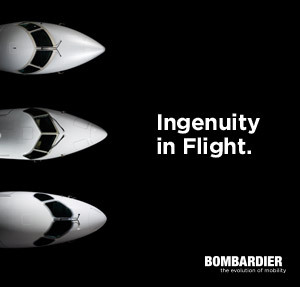 System integration work will be undertaken by Saab and Embraer. The WAD for Brazil’s Gripen NG aircraft is a single intelligent and full-redundant multi-purpose display system, full-colour, large-screen (19 x 8 in) with continuous image presentation and the state-of-the-art touch-screen controls capability. It is the primary source of all flight and mission information in the cockpit. AEL will also develop a new HUD for Brazil’s Gripen NG aircraft. The HUD provides essential flight and mission information to the pilot when looking ‘heads up’ out of the cockpit. “Incorporating these advanced products from AEL into Brazil’s Gripen NG further enhances the aircraft. This agreement also shows our continuing commitment to develop and produce the Gripen in close partnership with Brazilian industry,” says Ulf Nilsson, head of Saab business area Aeronautics. “We are proud of the opportunity to take part in the development process of Gripen NG and to be able to introduce the latest displays, computer and software technologies into a next generation fighter. I am sure it will further enhance the successful contribution of AEL to the Brazilian Military Forces,” says Sérgio Horta, President AEL. An extensive flight test campaign will be conducted in close co-operation with AEL at Saab’s site in Linköping, Sweden, to demonstrate and validate the new equipment. The transfer of technology contract with AEL will focus on further development of the human machine interface (HMI) for advanced fighters, along with workshops for avionics maintenance. Activity under this contract will commence in the second half of 2015 at Saab in Linköping and will include theoretical courses and on-the-job-training.